Rarely does a debut collection deliver so effortlessly on the promise of poetry as it is lived, offering its readers an intuitive musicality paired with careful observation and a certain stillness of mind. The voices in these poems somehow manage to be openly self-conscious while remaining expressive, deliberate, and measured. It’s as if Dominique Townsend feels altogether at home in whatever environment she finds herself, confident in her abilities to describe/unearth/translate from the temporal moment any universal experience it may contain, or explicate the emotional cathexis as generated by the human situation in which it resides. In these poems searching is an act of faith—but a wandering, hard-won faith, lived-in and inseparable from its discovery—where the fleeting is found to be necessary and worthy of our examination and praise. The Weather & Our Tempers offers a vision of a world exceptional as it is mundane, funny as it is tragic, a world that relies on our perception of it even as it changes our perception. It is a world that is rejuvenating, but always with death right there in the background, the sacrifice required for our recording: “something needs / to be offered up / for the sake of the story.” Here is a book that while relishing ideas, persons, objects—allowing each their own place and instance—simply cannot let things be. Meditative and mysterious, these spare, intimate poems trace an inner landscape that stretches from Brooklyn to Paris, from Tokyo to Kathmandu. 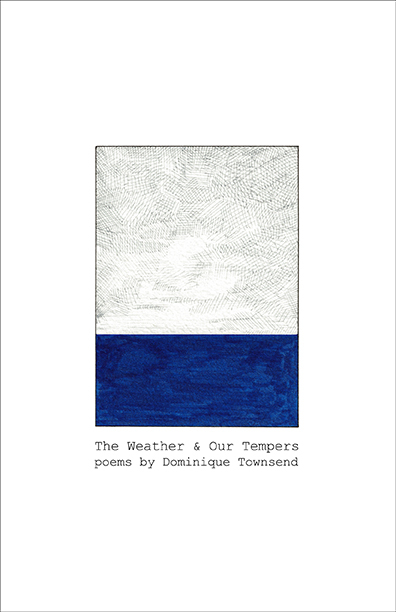 To read Dominique Townsend’s debut book of poetry is to be seduced by a particularly spiritual, sensual, and uniquely modern world, where the questions of body, mind, and—indeed—soul, are sometimes painful, sometimes witty, sometimes searching, and always exquisite. These are poems to treasure and revisit. DT: The will to make light of painful experience without diminishing its sharpness and interest, a fascination with the ordinary things people say to each other, concern with what gets passed down through generations, an effort to stay perceptive and awake enough to find meaning everywhere. I also secretly hope my poems have a sense of humor. It’s rare, but I love it when readers laugh. 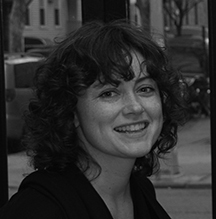 Townsend received her BA from Barnard College, a Master’s from Harvard, and a PhD from Columbia. She currently teaches Buddhism at Columbia. She lives in Brooklyn with her family. with a big monk in the rain. and kerosene lamps hung out front. The trouble, you said, started with the king. the clanging of that deaf god’s bell. and I noticed his window, open. and fruitless trees of Godavari. The road was blocked with students. where we’d trespassed on our last date. some anthropologist had told you. dangling garlands of countless red chilies. under a giant gold-faced Buddha. demanding to see the orchids. down and back, bored by mere green and a dog. at ease with nothing ready to buy or sell.